Special Collections was well represented at the Society of Southwest Archivists’ annual meeting last week in Austin. Ryder Kouba, the University Archives Fellow, presented “Developing Policies and Procedures for Incoming Digital Materials at the University of Houston,” a case study on the steps taken to accession digital materials, which was attended and well received by SAA President Jackie Dooley. Carey C. Shuart Women’s Archivist Vince Lee presented “And Justice for All: Women’s Liberation and the Feminist Movement during the 1970s and 1980s,” which detailed important collections in the Shuart Women’s Archives in a session chaired by Mary Manning, the University Archivist. Vince also chaired the “Architecture in the Archives” session. Alison Clemens, the Houston and Texas Archives Fellow, presented “From Flows to Finding Aids: Processing the Houston Hip Hop Collections at the University of Houston Libraries” which discussed the challenges she faced processing the DJ Screw Papers and other Houston Hip Hop Collections. All staff members had a wonderful time in the state capital and enjoyed sharing the work of UH Special Collections with the archival community. I suppose we have to wait a few more weeks for summer to officially begin, but I can already hear the sizzle from the grill. Savory beef, char-grilled. Roasted peppers. Savory, grilled onions. The ice is clinking. The condensation is beading and rolling down the sides of chilled and overflowing glasses. 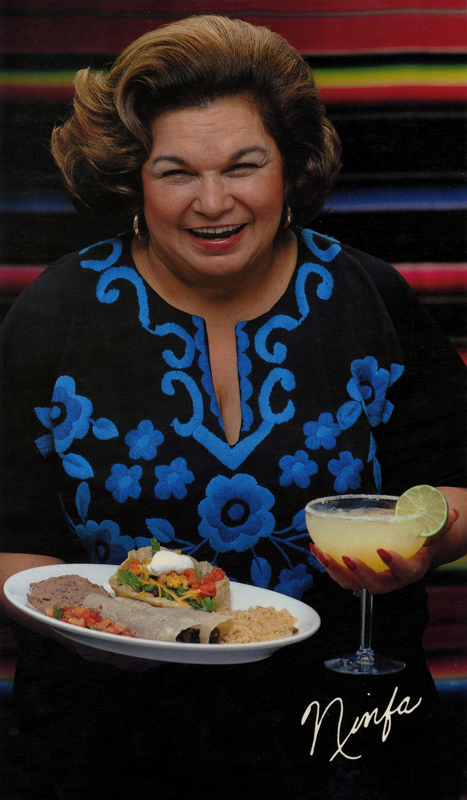 Yes, those of us born of a certain era, and raised in Houston on a certain diet, know what a debt we owe to the one we called, affectionately, Mama Ninfa. The year was 1973. Struggling to keep the family tortilla factory solvent following the death of her husband, Maria Ninfa Rodriguez Laurenzo had a dream and opened up a little taco stand on the factory site as a way to bring in more revenue for the struggling business. Fast forward through some difficulties getting bank loans for expansion, capital being pulled from unlikely sources, and the rest, as they say, is history. 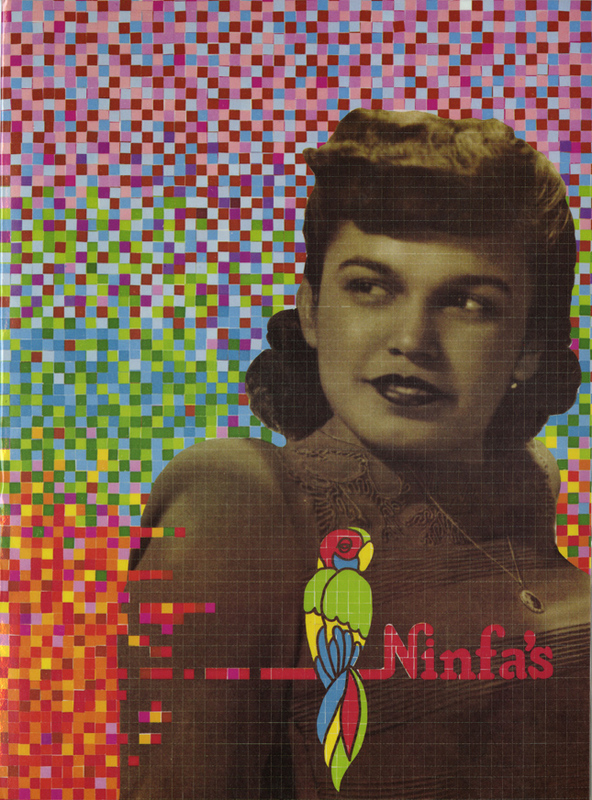 Wildly successful, the coming decades would see a plethora of Ninfa’s restaurants sprout up in Texas, Louisiana, Georgia, and anywhere else stomachs were grumbling for authentic Mexican food or evolving Tex-Mex cuisine. All from this one, humble “taco stand,” 40+ restaurants would soon be serving diners under the “Ninfa’s” banner in 1990s, spreading and popularizing a cuisine now synonymous with the American Southwest. Mama Ninfa would point out how she was an example of what anyone can do in America, the fulfillment of an elusive American Dream. But, as she said, she did not view it solely in terms of the money, and over time the iconic family business and restaurants emblazoned with the “Ninfa’s” brand would sadly experience a rough period of financial difficulties replete with botched partnerships and business arrangements. As one brand became licensed and spread thin, however, another emerged. Her family continues their prominent role in the Houston restaurant scene through El Tiempo Cantina (including a location in the old neighborhood) and, their namesake, Laurenzo’s Prime Rib (it should be noted that Domenic Tommy Laurenzo, Ninfa’s late husband, had quite the mastery of Italian cuisine and this eclectic and expansive culinary repertoire seems to have continued the family tradition). Mama Ninfa passed away shortly after the turn of the century (June 17, 2001) and, while her culinary legacy lives on, ironically it may be that she is remembered as much for her charitable contributions and service to her community as she is for those mouth-watering smells and tastes. 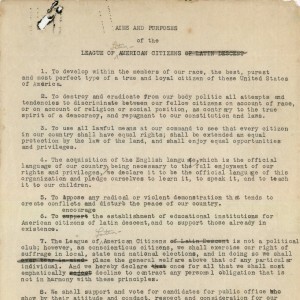 An interesting resource here at the University of Houston Special Collections, the Ninfa Rodriguez Laurenzo Papers, as part of the Houston History Archives, provide a framework for this uniquely American, uniquely Houston, story of Ninfa’s. The collection is highlighted by documents related to the family business interests, including business plans, correspondence, and some financial documents. The more personal side of the family can be seen through the photographs in the collection (most from the 1980s and 1990s), personal correspondence, and documentation of her philanthropic engagement as well as general service to her community. Be sure to consult the detailed finding aid for more information. Oh, those incredible tacos al carbon (or, fajitas, if you prefer). With apologies to our herbivore friends, what would summer be in Houston, if not for the fajita? Thanks Mama Ninfa! Not quite fully sated? 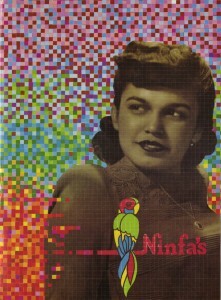 Come feast your eyes on the Ninfa Rodriguez Laurenzo Papers. 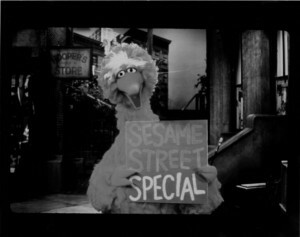 The University of Houston’s own beloved public television station, and the very first of its kind in the country, will celebrate its 60th birthday this weekend. Dont’ worry, KUHT. You’re not old, you’re just long in the tooth booth (broadcast booth, that is). Before there was a Corporation for Public Broadcasting, before there was the Public Broadcasting Service, and before there was everyone’s favorite oversized fowl, KUHT was broadcasting on good ol’ Channel 8. KUHT first hit the airwaves on May 25, 1953. 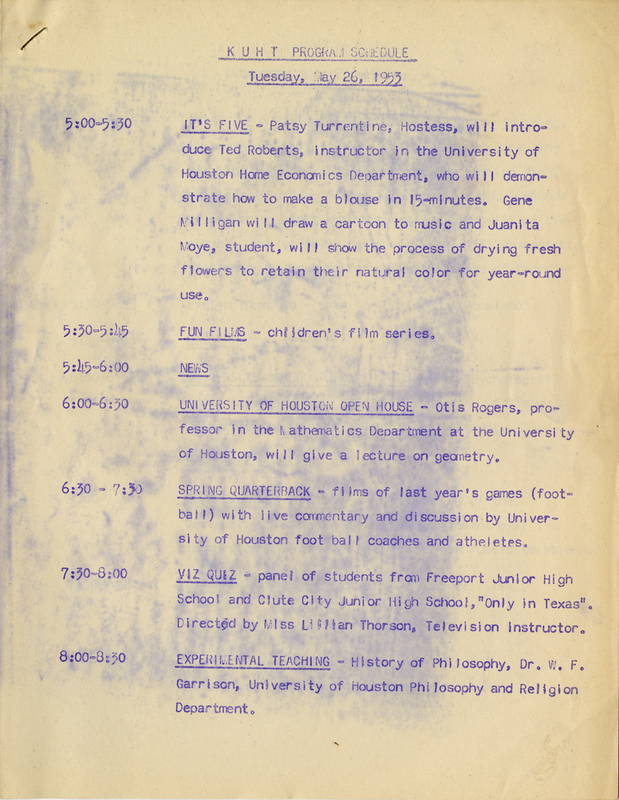 A first for the nation, it was originally licensed to both the Houston Independent School District and the University of Houston, envisioned as an educational channel serving both communities. 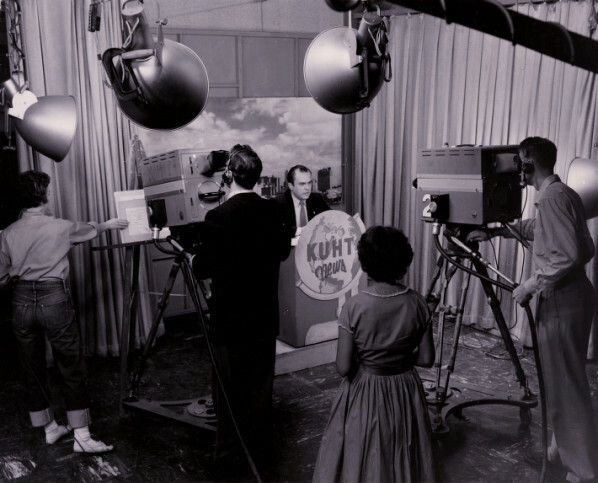 As the University of Houston became the sole licensee by the end of the 1950s, KUHT would become a home for UH’s first televised credit classes — continuing a UH tradition of expanding access to higher education in the city. As similar television stations began to crop up around the country in its wake, KUHT would go on to become a member of National Education Television and later PBS, as a politically muddy merger of stations took place. Programming has evolved throughout the years, but education has always remained at the forefront of the station’s mission. 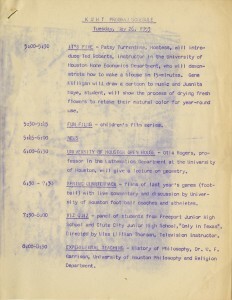 KUHT program schedule from May 26, 1953. Who needs ESPN when “Spring Quarterback” is on at 6:30pm?! As part of the University Archives here in Special Collections, the KUHT Collection looms large in our stacks, weighing in at nearly 500 archival boxes. Not surprisingly, over half of those boxes are comprised of video material. The challenges of preservation and the unique proprietary formats of the bygone eras dictate that not all of these videotapes are immediately available for public viewing. The remainder of the boxes and materials contained therein record the history of pioneering educational television. A finding aid is available for your review and our University Archivist should be able to help you with any specific questions regarding detailed inventories or the accessibility of specific materials. If you’re just curious to take a glance, however, our Digital Library serves up some wonderful highlights from the collection. Hundreds of black and white photographs provide glimpses into KUHT over the years. In addition, a number of fascinating videos have been preserved, digitized, and are available for your viewing pleasure from the comfort of your computer. For example, a scathingly forthright documentary on the business and politics of H.L. 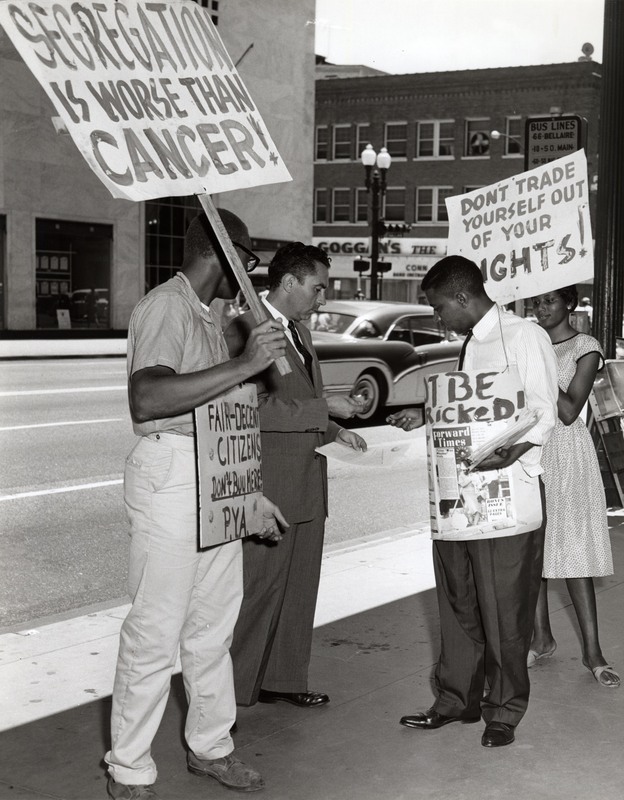 Hunt (1965) portends the coming political woes and merger of public television stations, while films like Integration: Two Towns in Texas; The World of Billy Joe (documenting the struggle of integrating public schools in Southeast Texas) show the critical role public television can play towards a greater society. So, happy birthday, KUHT! What’s on the tube tonight? Looks like we’re going to have to choose between “Antique Roadshow” or “Family Planning” (no, it’s not what you think). Too often the city of Houston has a tendency to discard or wash away its history. The perpetual buzz of construction around the sprawling metropolis has become our recurring soundtrack. We seem to relish in pulling down long-standing authenticity so we can build the artificial over it again with a restlessness that results in a sort of amnesia for long-time residents and a disconnect for newly-arriving transplants. In short, Houston is a city where it can be difficult to hold onto the thin threads of history. 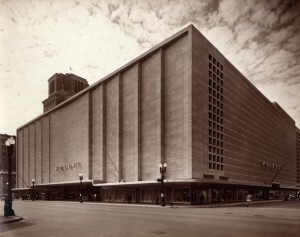 For just over a century the Foley’s Department Store served as a cornerstone in Houston, serving the needs of the population beyond simple commercial interests. 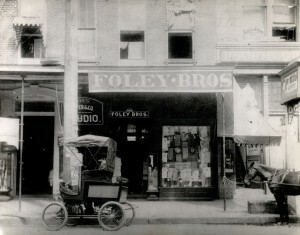 Paul and James Foley founded their Dry Goods Company in 1900. 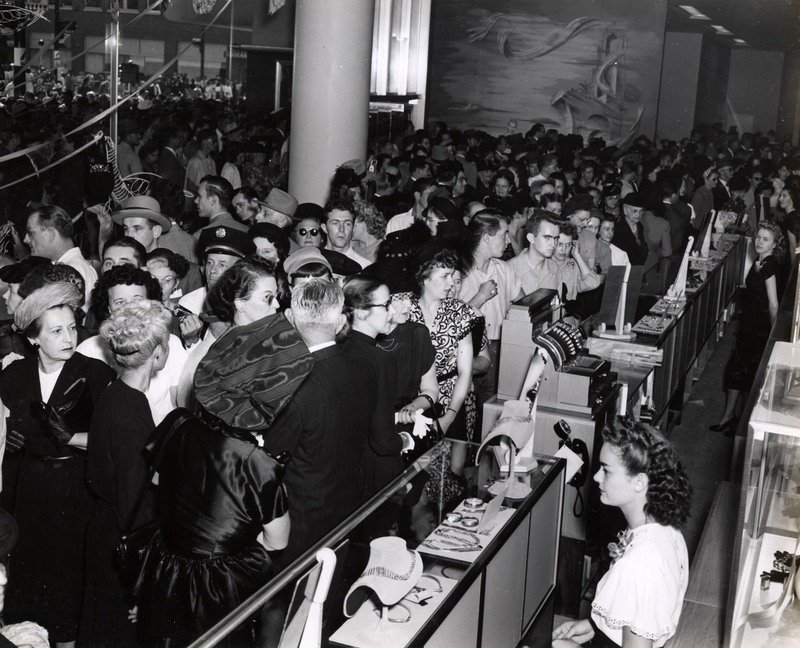 By the twenty-first century, the shifting sands of business had seen Macy’s take over operations of the iconic building down on Main Street and, shortly thereafter, the registers ceased their chiming as Houston’s old department store was shuttered. In-between those one hundred or so years, however, the Foley’s Department Store would be witness to and participant in the evolution and growth of Houston — and we have the records to prove it. Part of the Houston History Archives, the Foley’s Department Store Records may seem like an unlikely source for the interested scholar. As one of the rare long-standing entities in Houston, however, the store’s records provide insight across a number of disciplines and attract scholars of different feathers. With materials representing the operations of marketing, legal, financial, and public relations departments inside Foley’s, there is a little something for everyone. 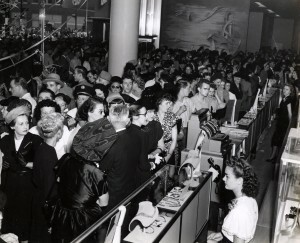 Some are interested in studying the process of desegregation in the store’s dining facilities. Others may be inclined to watch the changing trends in fashion. Still others will want to look at the evolution of advertising and consumerism as it explodes in the post-World War II years. The construction of the “store of tomorrow” will no doubt please those interested in architecture. Studying transit and urban sprawl? Foley’s planned expansions into the developing Houston suburbs are documented in studies analyzing, among other things, transportation. This collection is a genuine cornucopia for the famished scholar of Houston history. Given the recklessness with which we treat our history at times, those more interested in a simple look into Houston’s past will feel fortunate to be able to view it from this singular window over these many years (Never you mind that the revolutionary building design of Kenneth Franzheim wasn’t real big on windows!). In typical Houston fashion, the late twentieth century saw a new “uptown” shopping district being developed out west of downtown. The Galleria would go on to become synonymous with Houston, its commercial industry, and tourism. As other downtown power players jumped at the chance to leave their urban center, Foley’s seemed to understand that the view from Main Street is different than that from the fringe. We invite you to come share this historic view of our city. The work of professor and scholar Michael A. Olivas, of the UH Law Center, will now be translated into a gift of philanthropy, scholarship, and conscience. This month, Arte Público Press publishes In Defense of My People edited by Professor Olivas. 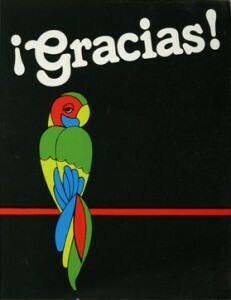 The book assembles a collection of essays from Mexican and U.S. scholars on the life and legacy of Alonso S. Perales, initially presented as part of a 2012 conference and exhibit organized in conjunction with the University of Houston Special Collections and the U.S. Hispanic Literary Heritage Project. 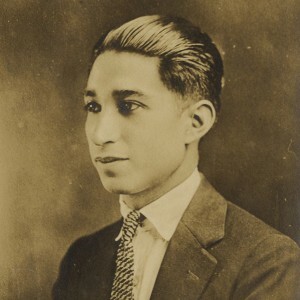 Alonso S. Perales was noted for his civil rights legal work in the Mexican-American community as well as his influential and prolific writing on the topic of racial equality. However, he is perhaps most remembered for the leadership he was able to provide in maneuvering the legal and logistical hurdles of uniting a number of disparate civil rights organizations under the banner of LULAC. Arte Público Press and Olivas will donate royalties from purchases of the book to establish a scholarship with the UH Law Center’s Hispanic Law Student Association. The first scheduled award, to a recipient exhibiting “academic merit and a record of involvement in the Houston Latino community,” is slated for 2014. Thanks to the generous donation of the Perales family, the Alonso S. Perales Papers are now more accessible to the community at large and we are pleased to have them available for study in the Special Collections reading room during normal reference hours. This collection, a part of our larger Hispanic Collections, is a rich resource and draw for scholars still attempting to provide a robust picture of a region and time complicated by competing ambitions and voices. 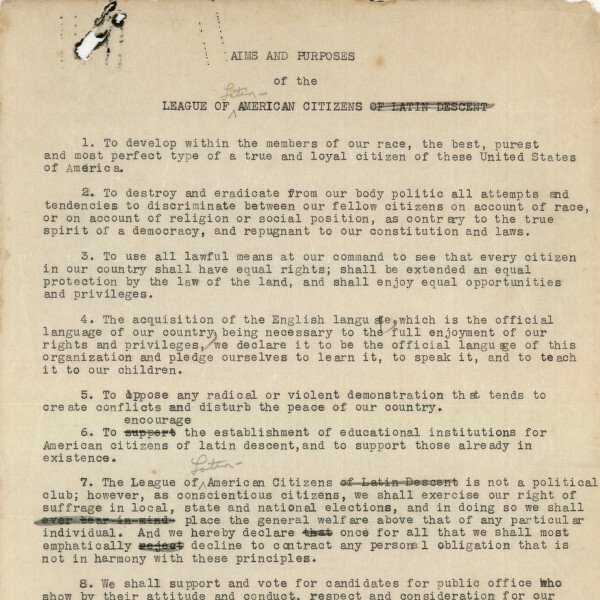 For starters, the collection includes correspondence with other noted civil rights leaders, organizational documents for LULAC, as well as his notes regarding personal writings, interviews, and radio addresses. However, the detailed finding aid will be able to guide your research and provide more insight into the contents. Our Digital Library has assembled a number of documents and photographs as highlights from this collection and they are available for viewing and high resolution download here. In addition to the Perales papers, our Hispanic Collections offer a number of finding aid resources that may complement your study. The history of “Aztlán” is infinitely complex and made more so when voices are muted. We are pleased that, thanks to the efforts of scholars like Professor Olivas and others, those voices continue to garner an audience. In addition, thanks to the continued generosity of he and his wife, Professor Augustina Reyes, now another scholarship has been established to ensure those futures voices are heard. Please take a look at some of the online resources above. If you are just beginning your education on Perales and his impact, videos from scholars on the exhibit page should provide a nice introduction. However, if you are looking to expand your research, come visit us at your earliest convenience.